Great news guys! Recently Cart2Cart added Weebly data export and received lots of positive feedback for providing such an opportunity for e-merchants. Moreover, several dozens of store owners have already successfully made a switch from Weeble to other hosted platforms. Our congratulations! Weebly is a web based eCommerce platform that allows merchants to build and maintain online stores with minimum efforts. However, many users are tend to change it for a more robust solutions due to Weebly’s quite limited functionality. Weebly data export doesn’t require any technical skills. All your eCommerce data will be securely and accurately moved to a desirable platform automatically within few hours. Cart2Cart service guarantees you 100% Weebly store uptime during data migration process. If you have any Weebly export-related questions, feel free to contact our responsive 24/7 support team. 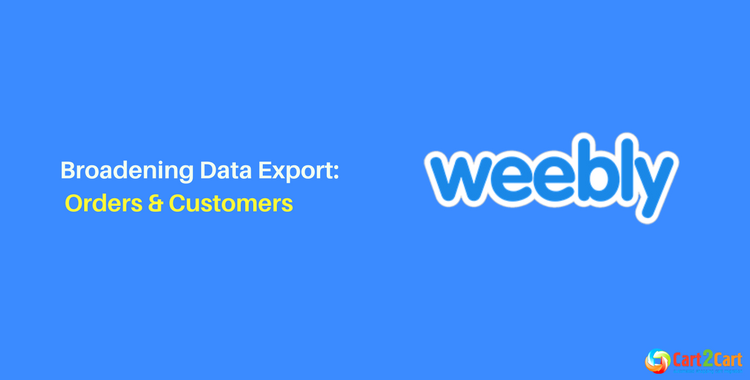 If you are ready to move your store to a more advanced platform, perform Weebly data export right now! Free Demo is available.